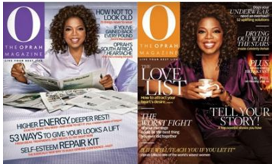 Groupon has a great deal on O (The Oprah) Magazine Today. You can get a 1 year subscription for just $10 (reg $28). The magazine will be sent to the address you provide at checkout. Ebates: 3% Cash back plus additional $5 if you are new to Ebates.